Two years have passed since the Fukushima Daiichi nuclear power plant accident occurred following the Great East Japan Earthquake. The melted-down reactors at the Fukushima Daiichi plant remain far from being stabilized, and a large number of victims are still living in extreme conditions, kept from their homes and without any hope of rehabilitating their lives. Currently only two reactors, Ohi Units 3 and 4 of Kansai Electric Power Company (KEPCO), are in operation. These two reactors are scheduled to shut down this summer for periodic inspections, thus bringing Japan again into a state of zero nuclear power, i.e. a state of nuclear power moratorium. 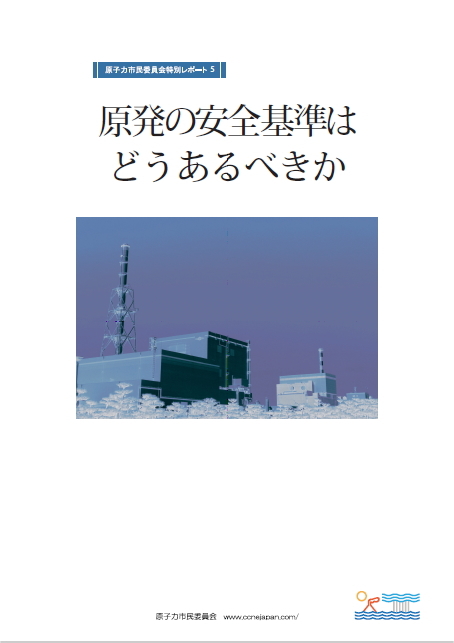 Japanese nuclear energy policy is also under a virtual moratorium; the Atomic Energy Commission (AEC) of the Cabinet Office has effectively ceased to function since the revelation of secret meetings in which AEC disclosed a draft report on options for dealing with spent nuclear fuel to representatives of the nuclear industry, during the process to revise the Government’s “Framework for Nuclear Energy Policy.” The Basic Energy Plan formulated at the initiative of the Ministry of Economy, Trade and Industry (METI) in 2010, has also lost its effect. 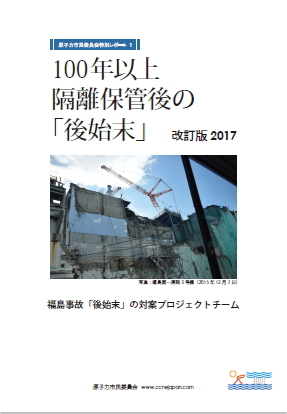 Meanwhile, the “Innovative Energy and Environmental Strategy,” adopted by the Energy and Environment Council under the former Democratic Party (DPJ) administration, set a target of “zero nuclear power in the 2030s.” This Strategy should have replaced the Framework and the Basic Energy Plan, but it has not been invoked. After taking power in December 2012, the Liberal Democratic Party (LDP)-Komeito coalition government revealed its intention of revising the former Basic Energy Plan and reverting to the pre-Fukushima nuclear policy: reopening of most of the nuclear power plants, completion of new nuclear plants under construction and in the planning stage, pursuit of the establishment of the nuclear fuel cycle, and export of nuclear power plants. 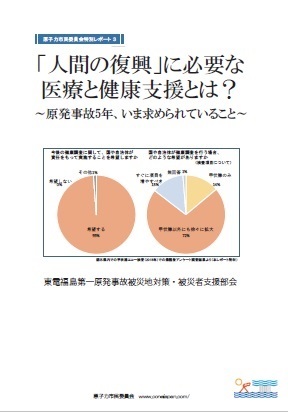 In response to the Fukushima nuclear accident, however, the great majority of the Japanese population now wants a “society free of nuclear power.” It is unlikely that the public would accept the return of a pro-nuclear policy, and allow its smooth implementation. 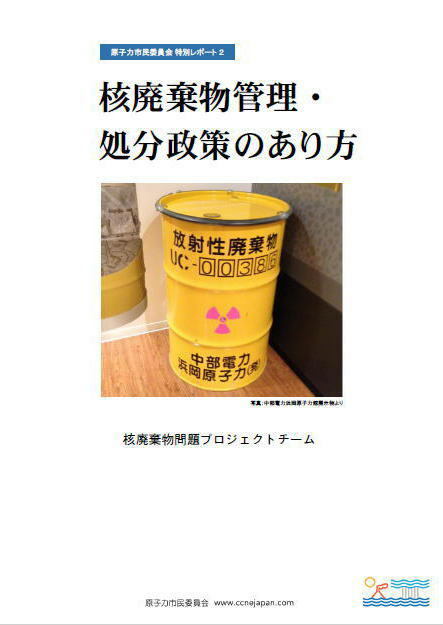 The Fukushima nuclear accident has made people of Japan and the world aware that an severe accident like that of Chernobyl is not limited to special types of reactors in special types of countries, but that there are non-negligible real risks of severe accidents, and that once such an accident occurs, it causes huge irreparable damage. Loss of control of nuclear energy is a situation that should never have been allowed to occur. The only way for us to learn and draw lessons from this tragedy is to shift toward a phaseout of nuclear power. What is becoming important under these circumstances is to elaborate a realistic and ethical public policy strategy for a nuclear power phaseout. We have little experience with this kind of approach because most people considered it unlikely that a phaseout of nuclear power could be realized under the conventional political and administrative system. However, the situation has significantly changed as a result of the Fukushima accident. Now that the majority of the Japanese citizens declare themselves in favor of a nuclear phaseout, putting a concrete path to achieve that goal has became a real challenge. 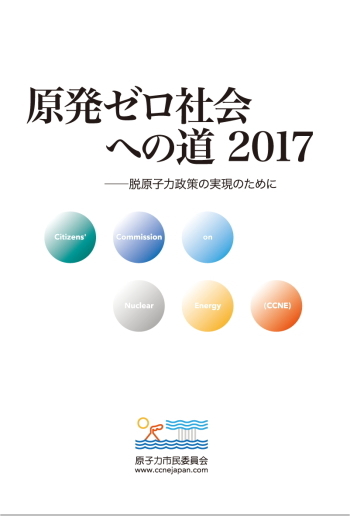 Based on the above rationale and needs, we decided to establish “Citizens’ Commission on Nuclear Energy (CCNE)” as an expert organization. 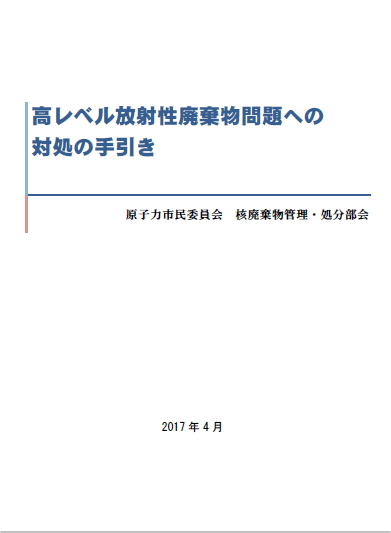 Its objective is to compile and propose a tangible(*1) public policy to achieve a society free of nuclear power(*2) , an alternative to counter those set forth by AEC and other governmental nuclear-related organizations (Nuclear Regulation Authority, Advisory Committee for Natural Resources and Energy in METI, Reconstruction Agency, etc. ), as well as to make the outcomes of its research activities available to the general public. We expect CCNE to operate for at least 5 years, preferably for more than 10 years. 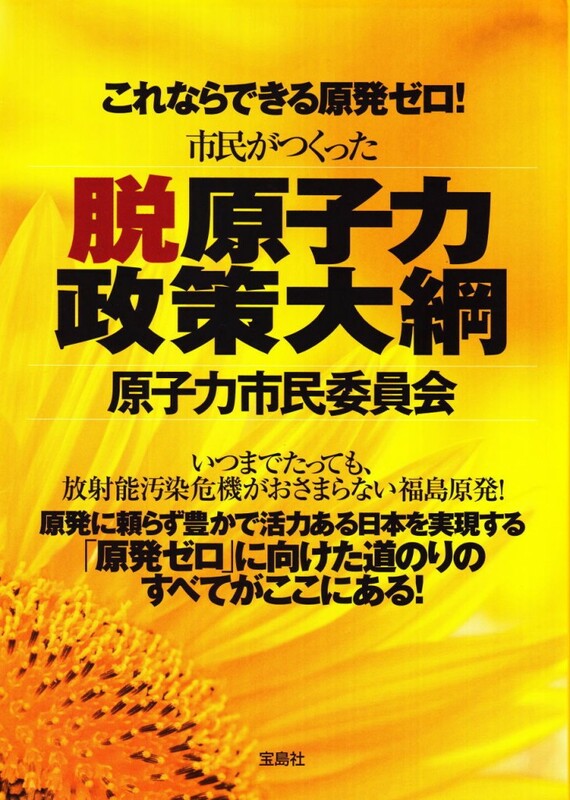 We consider the AEC as an organization in which pro-nuclear interest groups planned, deliberated and decided Japan’s nuclear energy policy for the sake of pro-nuclear interest groups. CCNE is a clear contrast with AEC in that CCNE plans, deliberates, and makes proposals on nuclear energy policy from the standpoint of the public interests of citizens. CCNE aims to organize a forum in which a wide range of participants wishing for a phaseout of nuclear power exchange views and information, report progress and research results, and compile policy recommendations towards a nuclear power phaseout based on the outcome of the forum. In the initial stage, many of the forum participants may comprise determined anti-nuclear activists and experienced nuclear phaseout advocates, but we would like to welcome a wide spectrum of people who sympathize with the idea of a nuclear power phaseout after the Fukushima accident. 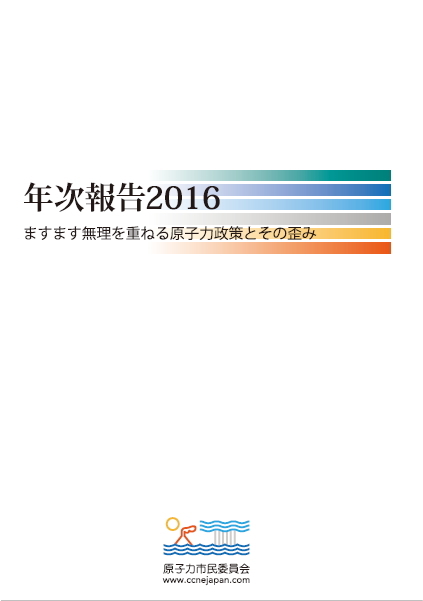 The only condition for participation is to share a willingness to contribute to profoundly changing Japan’s nuclear energy policy(*3). 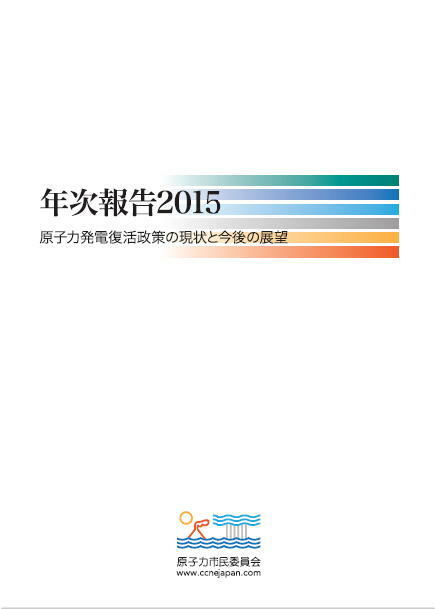 AEC has established the “Framework for Nuclear Energy Policy” as Japan’s most basic nuclear policy reference document. It also issues occasional opinions and announcements on specific matters and has several specialized sub-committees, each of which publishes reports on the subject it covers. CCNE wants to compile and publish policy recommendations to counter those issued by AEC. 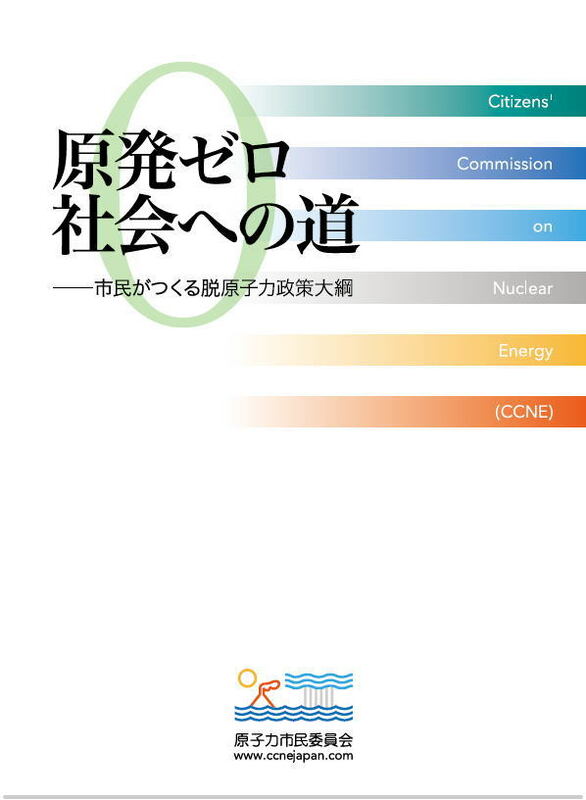 A “Framework for Nuclear Energy Phaseout Policy” will be CCNE’s main publication. We hope to publish the first version of the Framework around the first anniversary and intend to revise it each year. For issues on which consensus among participants cannot be achieved, multiple options will be included side by side and the advantages and disadvantages of each identified so that citizens can choose the options they have. 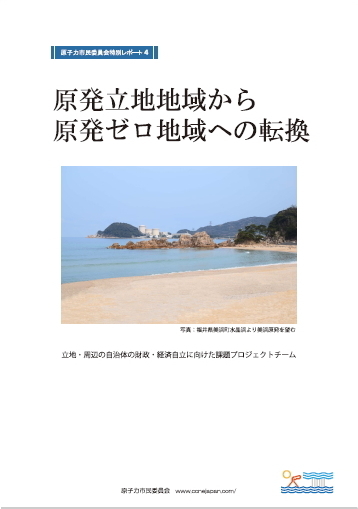 The “Framework for Nuclear Energy Phaseout Policy” is intended to function as a “Basic Plan for Nuclear Power Phaseout,” an executive plan to achieve the general objectives stipulated in a “Basic Law on Nuclear Power Phaseout,” after such a law is enacted. 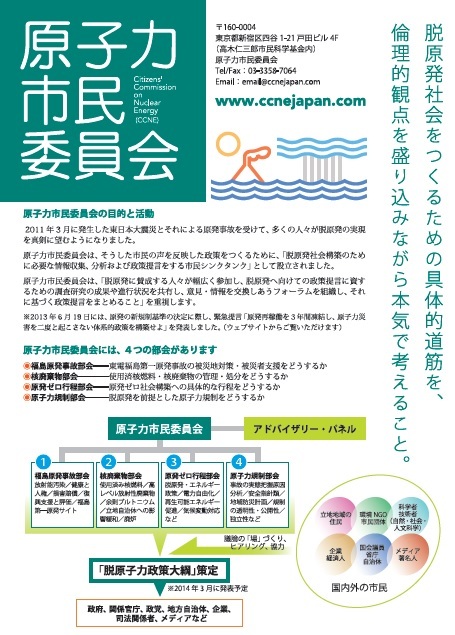 The biggest feature of CCNE’s Framework will be to incorporate measures for supporting all the victims and affected areas of the Fukushima nuclear accident. The Framework is intended for central and local government officials, Diet members, political parties, mass media and journalists, as well as the general public with an interest in nuclear issues. In order to reach a wide audience among younger generations, the Framework must be written in easy to understand language. CCNE was founded as a special project of the Takagi Fund for Citizen Science (Takagi Fund), an certified NPO, and will operate mainly with the financial support of the fund. As for the circumstances and significance of Takagi Fund addressing this project, please refer to the attached document. A nuclear phaseout cannot be achieved in a short space of time. In Germany, it took 11 years for the Schröder and Merkel administrations to actually shut down nuclear reactors after the agreement in 2000 of the “Nuclear Phaseout Law”. During that time, there was much toing and froing. Similar progress will be unavoidable in Japan. A nuclear power phaseout will inevitably cause some pain. Even after we agree to abolish nuclear facilities, we will still have to continue to pay for redressing the negative legacy of nuclear power for a very long time. Nevertheless, by initiating a path towards a nuclear phaseout, we will be able to hand over a better future to our descendants. We hope all those who share our wish for a Japan free of nuclear power will join us. (*1) “Tangible” means here carrying out cool-headed objective analyses and assessments of both benefits and side-effects of the new public policy. (*2) By “society free of nuclear power” we mean a society which not only abandons nuclear power generation, but also deals wisely with the associated negative legacy. (*3) Participants join the forum in their individual capacity, not as representatives of organizations.